Portable air conditioners offer homeowners a new option in cooling, and with some units, heating, too. 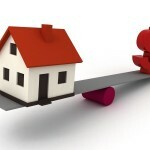 Here are 3 reasons for their growth in sales in recent years. First, the term portable is key. These units are housed in a cabinet that features casters that make it easy to push the unit from one room to another, even over carpeting. 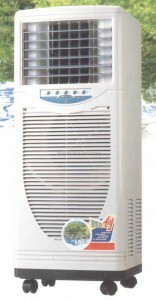 The portable air conditioner can be used in a living area during the day, and then rolled to the sleeping areas at night. 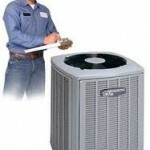 While this could be done with a window air conditioner, those heavy units cannot be rolled and must be placed and secured in a new window every time they are moved, a time consuming, inconvenient and difficult task, and perhaps impossible for some older homeowners to do. Another advantage of portability is that the homeowner does not have to cool the entire home, but can concentrate the energy usage on one room or zone. 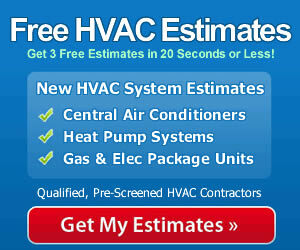 This can reduce energy costs dramatically. These units also use less energy than most window air conditioners. Secondly, some portable air conditioners double as heating units. If you select one with a reverse air intake, rather than push cool air into the room, warm air will be distributed. 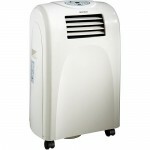 Thirdly, portable air conditioners cost much less than central air conditioning units. Coupled with the energy savings, they make an outstanding choice for homeowners who want to save money on home energy costs, and consume fewer fossil fuels in the process.